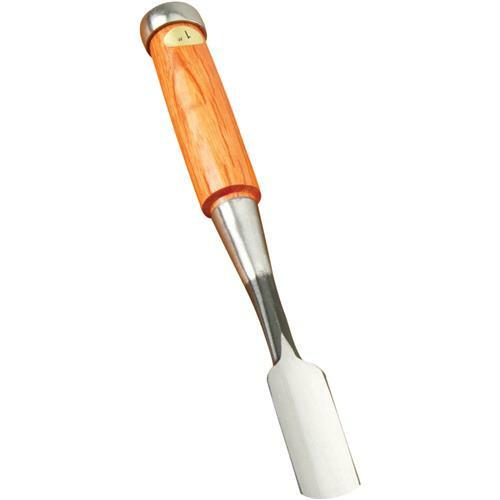 Grizzly G7956 - Japanese Gouge - 1"
Manufactured using quality steel and Japanese oak with steel ferrule handles, these hand finished gouges will give you years of dependable service.Size: 1"
I am very pleased to find a product of this quality and for this price. It is allowing me to get into the type of wood working I have been wanting to do without breaking the bank! The chisel was nice and sharp when it came, and feels like a good tool. The steel blades are worthy but the wood handle is weak and tapered to thin. Students broke some right away. A quality gouge! On par with the likes of Hans Karlsson in terms of function and sharpness out of the box.